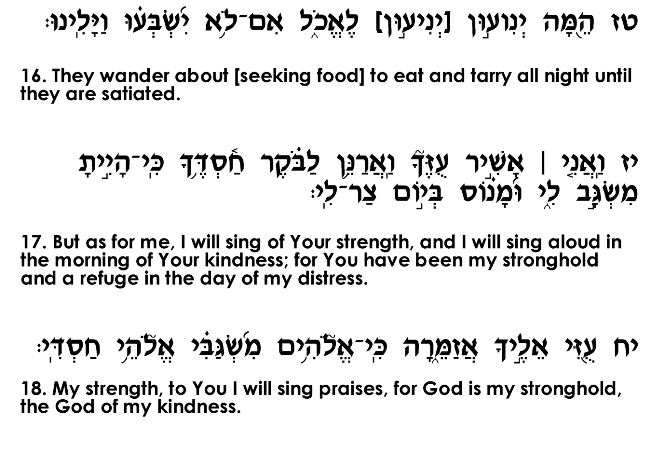 The background to this Psalm is the incident recorded in the Book of Shemuel I (chapter 19) that occurred shortly after King Shaul began his attempts to kill David. Envious of and threatened by David's success in his battles against the Philistines, Shaul one day thrust his spear towards David as David played the lyre for him. David escaped to his home, but Shaul immediately appointed guards to surround the house and capture him. With the help of his wife, Michal, David climbed out the window of his home and fled. 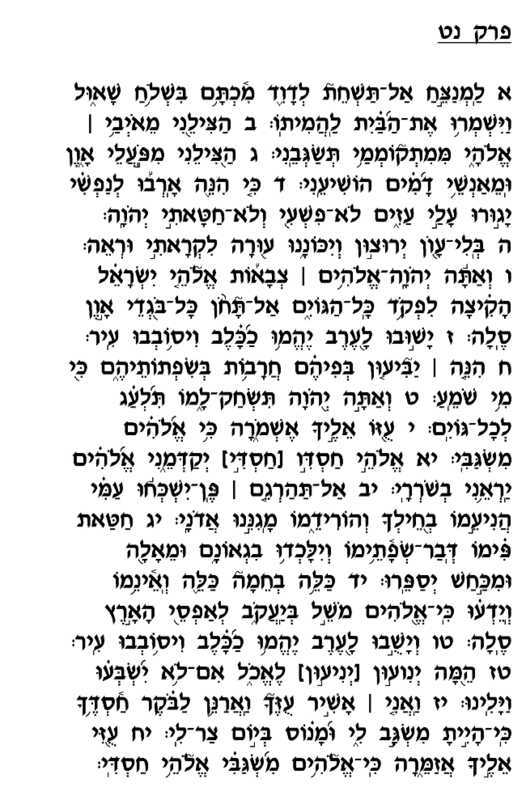 It was during these tense moments, as Shaul's guards surrounded David's home, that David composed this prayer. David here emphasizes his innocence, the fact that he is pursued out of sheer malice, having committed no crime that warranted such mistreatment (verses 4-5). 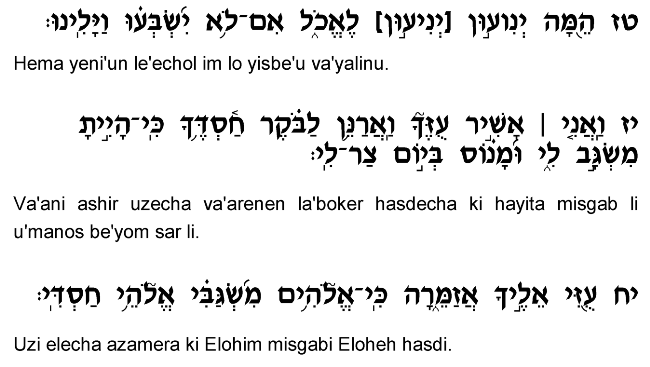 This emphasis echoes David's complaints to his comrade Yehonatan, Shaul's son, whom David had asked to explain why Shaul seeks to kill him (Shemuel I 20:1). David had risked his life on numerous occasions waging fierce battles against the Pelishtim, the most dangerous and persistent of <?xml:namespace prefix = st1 ns = "urn:schemas-microsoft-com:office:smarttags" />Israel's enemies, and yet rather than being rewarded for his heroism, David is treated as a disloyal conspirator who must be eliminated. Among the interesting features of this prayer is David's specific request that God not kill his pursuers (verse 12). He fears that if they would suddenly die, people would quickly forget them and the message conveyed through their downfall. David prays that they instead be smitten with poverty and degradation, so that people will learn the fundamental lesson that power and wealth that are misused for cruelty and oppression are ultimately lost. The downfall of his adversaries who pursued him without cause would serve to demonstrate the truth and justice of divine judgment, that crimes do not go unpunished, and innocent victims of abusive rulers are ultimately vindicated.